SAN JOSE, CA June 6, 2018 – Excelero, a disruptor in software-defined block storage, announced that its customer teuto.net, an innovative service provider offering both public and private OpenStack clouds, has deployed Excelero’s NVMesh™ Server SAN along with Mellanox SN2100 switches to enable exceptional performance with low-latency block storage in its teutoStack Cloud. As more customers need storage suitable for demanding databases that exceed Ceph’s performance, teuto.net achieved a 2,000% performance gain and 10x lower IO latency with NVMesh compared to Ceph while avoiding costly, less scalable appliances and proprietary vendor solutions. After researching NVMe over Fabrics (NVMe-oF) options, teuto.net tried iSCSI appliance-based storage solutions, then vetoed them as limiting seamless growth and increasing costs – as well as vetoing Dell EMC ScaleIO, which didn’t support NVMe-oF and was costly. In noting Excelero was software-only, hardware-agnostic and partnered with both its long-time system integrator Boston Server & Storage Solutions GMBH and with Mellanox, teuto.net commenced testing NVMesh. The combined Excelero/Mellanox performance delivered 8,000 IOPS per virtual machine, compared to 400 IOPS per VM with Ceph, such that teuto.net now recommends the Excelero-based teutoStack Cloud for customers with demanding private cloud OpenStack requirements. In addition, due to its design Ceph typically runs at higher latencies of up to 2.5 milliseconds – latency which drives down IOPS, especially at low queue lengths. Excelero achieves 10x lower IO Latency – around 250 microseconds – through all layers in the virtual machine. teutoStack Cloud runs Excelero on SuperMicro servers from Boston Server & Storage Solutions GMBH along with Mellanox ConnectX®-4 and ConnectX-5 NICs running 2x25Gb Ethernet to each client node. It uses OpenStack Cinder to manage storage. 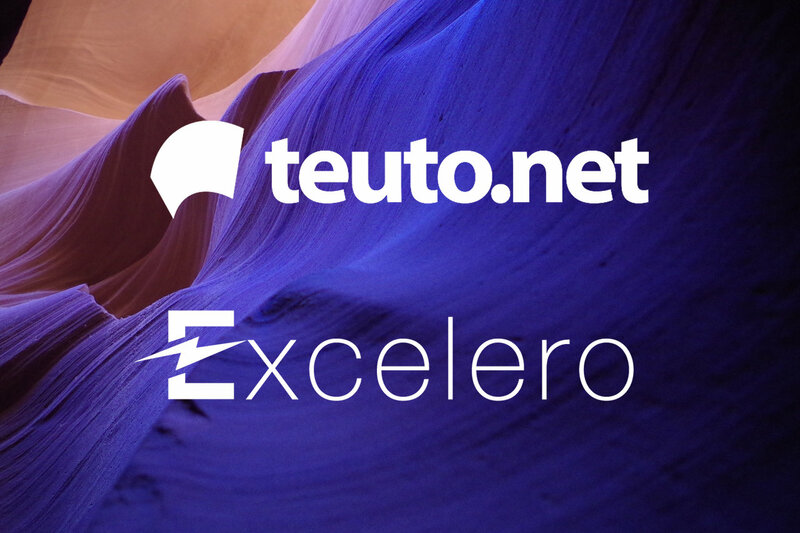 With both Mellanox and Excelero’s support for Ubuntu, teuto.net has an all-Linux implementation for easy Integrated orchestration and monitoring. “Demanding IaaS or PaaS services need more than just performance from Ethernet switches today – they also need easy automation and management. After trying another switch vendor failed to meet these key requirements, the Mellanox SN2100 was an obvious choice. Mellanox makes it easy to integrate its switches with Linux operations, so service providers like teuto.net.net can keep their focus on running their business and not running their infrastructure,” said John F. Kim, director, storage marketing at Mellanox Technologies. “There’s tremendous interest in high-performance OpenStack storage as data centers move away from iSCSI and toward hardware-agnostic architectures, yet few vendors who can deliver what’s needed. We’re delighted that Excelero’s NVMesh proved itself in teuto.net’s demanding private OpenStack cloud, and look forward to working with Mellanox and Boston Server & Storage Solutions GMBH to help Teuto.net and others to deliver OpenStack to more markets,” said Yaniv Romem, CTO and co-founder of Excelero.